If you’re starting to count down the days left to do Christmas shopping: allow us to lend a hand. Here in Manitoba, we have a thriving cabin culture and even if you don’t own a cabin, chances are, you savour the summer at least a few weekends during the summer at one. The passion of the cabin dweller is strong, which led us to create this handy list of 15 gift ideas for the person in your life who spends summer and winter outside of city limits. 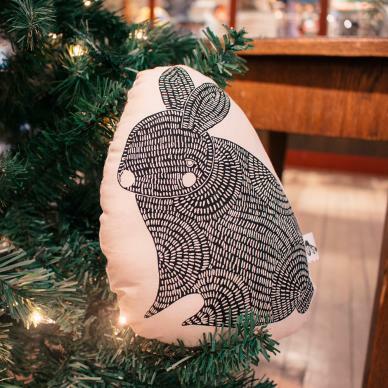 The gift guide focuses on three outstanding stores at The Forks: WAG @ The Forks (in the Johnston Terminal), The Forks Trading Company and Teecka’s Aboriginal Boutique (in the Forks Market). 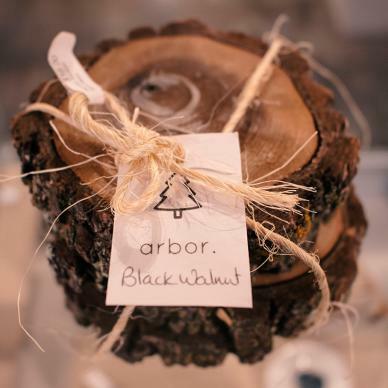 If you’d like to do all your shopping at The Forks, browse their handy gift guide for nifty finds that take you through every shop in the market! The whimsical shape and design would suit your special-someone’s favourite chair at the cabin well, don’t you agree? 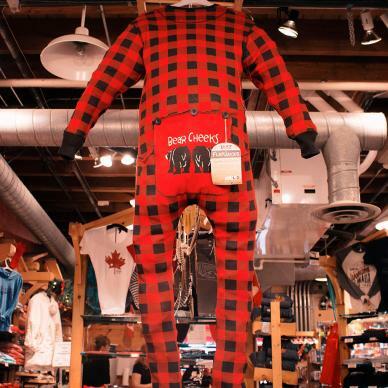 It’s almost too easy to shop for cabin dwellers at The Forks. Your giftee will swoon over the campfire scent! 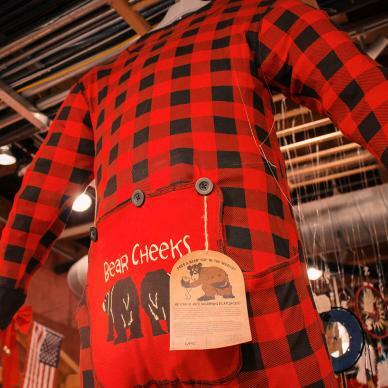 Just because you’re a cabin dweller doesn’t mean you don’t like to give a nod to your home turf. Find a print from your giftee’s neighbourhood – the look and vibe fits right into our theme! 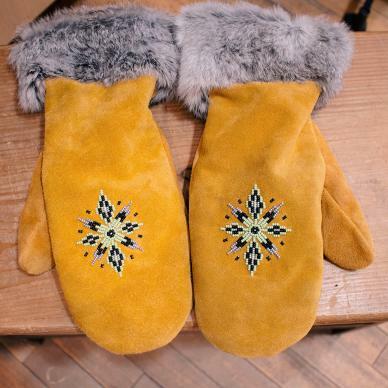 Whether your giftee spends time chopping wood for the fireplace or skating on the lake, you can never go wrong with a pair of quality mittens. Purrrfect for hot chocolate (and Bailey’s? Who are we to judge) and cool mornings. Trees: we got ’em. 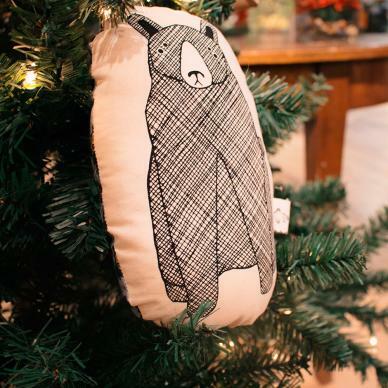 If looking outside to see trees isn’t quite enough for your giftee, these nifty tree designs bring the outdoors, indoors in a delightfully creative way. If you don’t like wearing a onesie, you’re probably lying. Yes, using the bathroom can be complicated – but this onesie makes that easy. Is there anything more comforting than the gentle whistle of a tea kettle first thing in the morning? 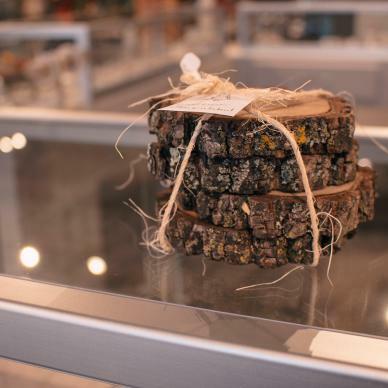 Tea enthusiasts (and face it, most cabin lovers are) will adore this Inuit Herbal Tea set. Cabin people love candles – trust us on that. With hints of toasted hazelnuts, vanilla and butter, this candle does not disappoint. Next time your giftee is sipping wine on a cozy winter’s night at the cabin, consider this: Do they have a suitable spot to place said wine glass down? All cabin owners take pride in their little corner of the province; and will defend it to the end. This hat reflects that passion. I’m not usually one for giving Christmas decor for Christmas, but how can you resist these cute handmade ornaments that are MADE for the cabin Christmas tree? 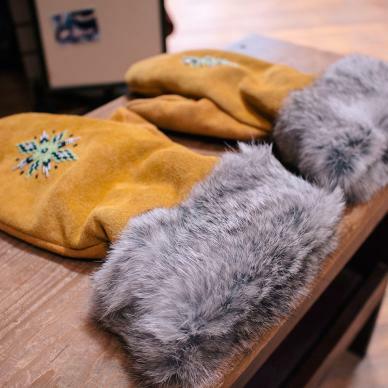 One of Manitoba’s most popular products worldwide, Manitobah Mukluks can be used as slippers around the cabin or for outdoor adventures. Most cabins tend to get the hand-me-downs and leftovers – the rags that have gone through the dryer one too many time. These tea towels give some new life to the cottage kitchen, with prints from Winnipeg and beyond. You rock, rock! These hand-painted rock magnets are ideal stocking stuffers, destined to adorn the front of a cottage fridge. Photos by Dylann Bobei, Travel Manitoba’s new Visual Content Specialist!